The following column appeared in somewhat different forms, in a number of Mn newspapers during July and August, 2018. With a month of summer remaining, here are two things that teenagers could do that would be free, fun and fulfilling: They could interview people with jobs or careers that interest them, and they could visit two- or four-year colleges or universities to learn more about what’s available. The goal is not for youngsters to decide this summer what job or career they want. But this is a great time to explore so that future decisions are more informed. Families can play a critical role in all this, helping youngsters develop questions they want to ask, helping them make connections and, in some cases, providing transportation. And knowing teens’ use of social media, young people might want to post pictures and especially interesting things they learned from talking with employers or educators. This way, others will benefit from their interviews. Youngsters might start by interviewing family friends with jobs that interest them, or they could contact various employers and business organizations, which are eager to help. 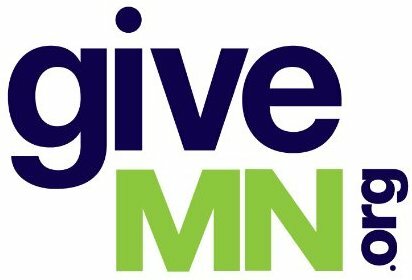 Laura Bordelon, senior vice president for advocacy at the Minnesota Chamber of Commerce, told me, “There is clearly enthusiasm among employers to help students learn what job opportunities are available in their communities.” Here is a link to information about what’s being done in several communities: https://bit.ly/2Jerywd. In Waconia, for example, the manufacturers and health care industries have reached out to schools to help young people learn more about local jobs and careers. The TwinWest Chamber of Commerce would welcome the chance to help youngsters talk with employers. Andrea Ferstan, TwinWest’s vice president of talent and workforce, wrote: “TwinWest recognizes the critical importance of career connected learning experiences that support early career exploration, skill building and development of social networks. To this end, we launched a beta software platform … that will seamlessly connect students, parents and educators with businesses to further explore careers and future opportunities.” Find more information here: https://bit.ly/2JeejLR. Counties employ thousands of Minnesotans, so I asked officials in various counties if their employees would be willing to talk with students this summer. Again, lots of enthusiasm. Carolyn Marinan, chief public relations officer for Hennepin County, pointed out that the county has more than 9,100 employees in a vast array of jobs. She suggested that students look at the county’s website, https://www.hennepin.us/, and determine one or two people they’d like to interview. Then she asked students to contact her at Carolyn.Marinan@hennepin.us. She’ll help arrange interviews. Among those 9,100 are bridge, restaurant and pool inspectors, bike and pedestrian coordinators, child protection workers, medical examiners, attorneys, sheriff deputies, and librarians. Teens typically spend lots of summer time with friends, family, hobbies and jobs. I think wise families will encourage them to spend a few hours learning more about possible jobs, careers and post-high-school education. Joe Nathan directs the Center for School Change. Reactions welcome, joe@centerforschoolchange.org or @JoeNathan9249. What a great idea! For those students who have some time left, try a few interviews for career work and future studies Stay in touch with a career mentor….sometimes it leads to summer time work and a career after you graduate. A college degree may not be required, but it does open more doors if you have the time and money to do it.